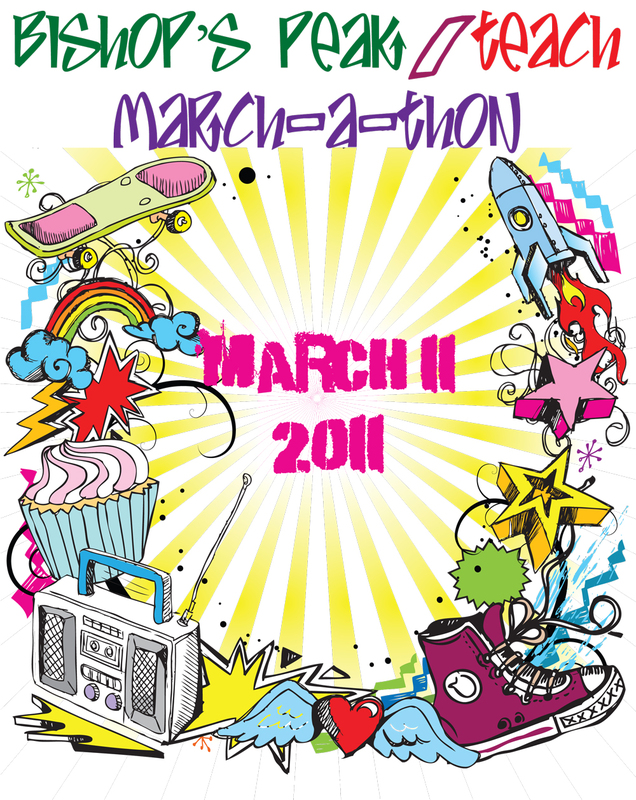 A huge thank you to all the students, parents and sponsors that made our 2011 March-a-Thon such an amazing success! Not only did we raise much-needed funds for our school, but we also had a great time doing it. In fact, we showed that we can work together on a goal to beat previous years' results and earn a multicolored Mr. Block! Together, Teach and Bishop's Peak earned over $30,000 during this event! Wow! The boy with the most laps run, schoolwide is: Lucas Abroms with 26 laps. The girls with the most laps run came in at a 3-way tie: Grace Hotaling, Carlee Turner and Emma Hotaling, each with 24 laps. These students' names will appear on the banner in our multipurpose room. Congratulations - great running! The student who raised the most money is Kendall Schemmer with $235 raised! Holy Cow! Kendall will be principal for a day. The class with the highest earnings (measured per capita to make it even) is Mr. Crabb’s class. Congratulations! You will enjoy a pizza party! And to each parent who carefully supervised the collecting of pledges, worked at the event or cheered on our kids, Thank You. And to each business that generously supported us with funds, products or services, a huge thank you! 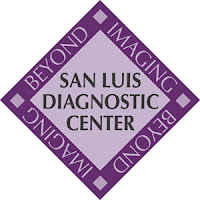 Your support helps develop citizens who will be a credit and asset to San Luis Obispo county and the world! 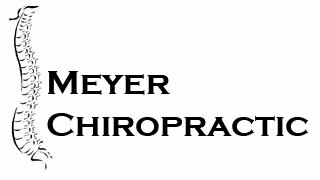 Please support our sponsors where convenient and thank them for their support. 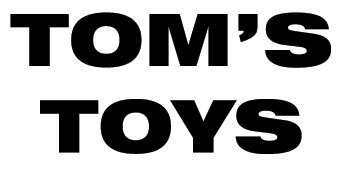 Sponsors and links here. The online registration isn't working right now, but please contact golf@24thdistrictpta.org for information. The event will be held at the Dairy Creek Golf Course, and will be a fun time benefitting our local area PTAs. If you'd like to play a little golf before our Dinner & Auction, get a foursome & sign up! Thanks so much to all our Teach Families and your fantastic friends! We made OVER our goal for this fundraiser, and had a nice time doing it. Special Thanks goes to Mr. Crabb for his great idea and hard work organizing this event. March-a-Thon contest winners and funds raised coming soon!! March-a-Thon is one of our school's two biggest fundraisers, and it's probably the students' favorite. 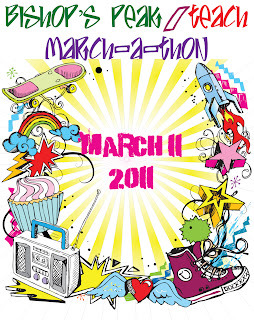 March-a-Thon is a student event held in the spring (in March!) to raise funds for our enrichment programs at Teach Elementary School. Bishop's Peak and Teach put on the event together, and kids from both schools run laps to earn money for our school. What I like best about this event is that the students are direct participants in the fundraising. We are not selling someone else's stuff and we get 100% of the profits for our own school. This event raises funds in two ways: through sponsorships and through individual pledges. 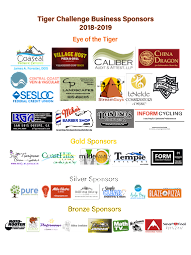 Local businesses, groups and individuals may sponsor at any level, but historically sponsorships of $100 or more are thanked by printing the logo or name of the sponsor on our t-shirts. The children all receive a free t-shirt that they wear to run that day and get to keep. These shirts are a nice reminder of their day on the green and are perfect for showing school spirit! Volunteers and sponsors also have the opportunity to order a shirt. Individuals contribute by pledging an amount per lap for a runner of their choice. After the run, the children collect their donations based on the lap pledge (or fixed amount) and the number of laps they ran. Last year, this event earned $4000 for Teach and $18,000 for Bishop's Peak. This year, we have a special reward to offer if we can raise $30,000 combined. After the march-a-thon, kids collect their pledges and volunteers count the money, distribute the prizes and plan the parties. (woohoo!) This is a fun event to attend and it's fun to volunteer for. March-a-Thon will be held on March 11, with a rain date of April 8. Thank you for your continuing support of Charles E. Teach Elementary School. We are once again looking for sponsors to make this a successful event. Contributions are tax deductable. The March-A-Thon finances many programs that benefit our Teach students. These programs include our 4th grade study trip to Astro Camp, our 5th grade study trip to Yosemite Institute and our 6th grade study trip to Catalina Island, as well as our digital media arts program (in coordination with Cal Poly), electives program, assemblies, Artist in Residence, dance and art classes, playground equipment, classroom supplies and library books. The March-a-Thon is one of our biggest fundraising opportunities of the year. Each $100 sponsor will have his or her name or logo printed on our March-a-Thon shirt, worn by students the day of the event and regularly throughout the school year. Kindly send your contribution and your contact information to: 451 Jaycee Drive, San Luis Obipso, CA 93405. Your donation is tax deductible. All sponsorships must be received by March 1st to meet our T-Shirt printing deadline. Need more information? Please email Erica Stewart or call her at 215-0874. Make checks out to Teach Boosters. 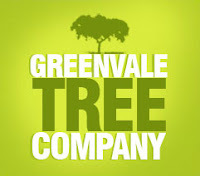 Logos can be emailed to Erica (above) or Sunshine (below). Your children will be asking for pledges too. Encourage them to ask family and friends to sponsor them. They will have a great time earning money for their school. Anyone can sponsor a runner, and they may pledge by the lap or a flat amount. Please contact Sunshine if you would like to volunteer your time the day of the event or if you'd like to help with planning, preparation or sponsorship. We'd love to have you join us for our meetings, even if it's just to share your input. The next meeting will be held on Wednesday, March 9 at 1:00 pm in the staff room. Help us to make this year’s March-a-thon the best ever! Please email Sunshine and let her know where you can help! THANK YOU to our amazing, enthusiastic, and good-looking volunteers!! Thank You to all of our sponsors, volunteers and runners! Wow - a 3-way tie for first place for the girls! 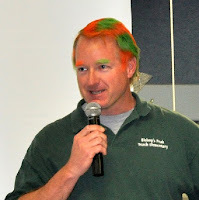 We raised more than $30,000, so Mr. Block dyed his hair! We collected just about $5,100 from individual pledges and $2,300 from our very generous donors listed below. Please patronize these businesses when convenient! Thank you Teach supporters! These generous local businesses and families donated money, products or services to our effort for our school. Please thank them and let them know you saw them on the shirts and the website. Open Hose & Prospective Parent Night is March 10! Feel free to invite other families that you know might be interested in Teach for their children--this is the best place for them to learn more about whether Teach is right for them. Meeting called to order at 8:47 a.m. The minutes from the February meeting were presented. Erica moved to accept them. Riana seconded the motion. All were in favor. None opposed. Financial Report: There is $28,795.73 in the bank account. The $19,000 check has cleared. We are getting the Applebee’s money coming in. We have approximately $1900 in donations for the March-a-thon. All the reimbursement checks have been paid. Principal’s Report: The Electives went really well. In the newsletter, there is information about the Superintendent’s 10 Initiatives. They are also on the SLCUSD website. Take a minute to check them out. There are a lot of them that are performance based, which is not a problem at Teach. The goals are ambitious, but we are doing well. There is always room to improve though. The talent show last week was phenomenal. Thanks to Kim, Eric, and Beth! The fifth graders are in Yosemite this week with their teachers. They are coming home tonight. Open enrollment continues through March 23. Thursday, March 10 will be the Teach Open House. At 6 p.m. there will be a tour of the classrooms for perspective students. At 6:30, there will be a perspective parent/student meeting in the Multi-Purpose room. At 7 p.m. the Open House for current students begins. The enrollment at Teach has jumped from 65 students to 125 in the last three years. We are continuing to grow. Class Representatives: Riana, representing the 4th grade, let us know that things are going well. The students are thankful for the Battle of the Books. Teacher’s Report: Mrs. Jones came to talk to us about the Yearbook for this year. The 6th grade will handle the yearbook this year. They are getting started on it now. They are learning how to do the publishing. Bernadette and Charles Birdsong are helping with this project in the digital media lab. To move forward with this though, the class needs $2000 for the program, printing, and delivery. The students are making the order forms today. Paige moved that we agree to pay the $2000 for the yearbooks. Tammy seconded the motion. All were in favor. None were opposed. This money will be made up in the selling of the yearbooks. There was a question as to how new students to the school would get their picture in the yearbook, since they were not here for picture day. All students who weren’t here on picture day will get their pictures taken against a similar background, so they can be in the yearbook too. Mrs. Jones will check if there is a way to get the new students’ pictures from their previous schools through Lifetouch. 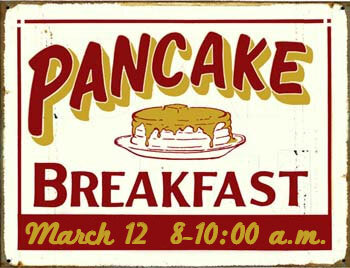 The Pancake Breakfast will be on March 12. Tickets are still available. Sunshine and Erica will be selling tickets at the door also. The breakfast will be at Applebee’s. Paige and Riana will sell pancake tickets at Open House. The Big Brothers/Big Sisters event will take place on April 9. We need parents and kids to help out on the day of the event. A flyer will be sent home soon. The classes are loving the Battle of the Books that the Boosters purchased for the classrooms earlier this year. Next year we will work on labeling the AR/Lexile information more clearly. Fundraisers: The Dinner/Auction this year will be on May 7 at the San Luis Obispo Country Club. The tickets will be between $65 and $75 each. We were able to get a good deal from the Country Club. We need live/silent auction items. Sunshine is getting a letter together for the parents regarding this. The event will have a Kentucky Derby theme. People can wear their hats. The entertainment will be decorating/racing a derby horse. There will also be a dessert auction. Altee is looking at having a credit card machine onsite at the auction, to make it easier for people to pay. There is a $99 fee for the software, etc. The bank will lend us the machine for the night. We can then decide if we want to rent the machine for $25/mo, with a minimum of 2 months. Sunshine mentioned getting a PayPal account, which would be free. People would have to fill out their card number and sign for it though. Paige suggested that we could bring a computer and enter it manually at the country club. There is a fee for using your credit card. The fee is 2.2% plus a 30 cent per purchase charge. Paypal is free for a basic account, but $30 per month for an upgraded account. Riana moved to get a merchant processer’s account through PayPal and to pay the $99 to have the credit card machine there the night of the auction (provided the district doesn’t already have a credit card machine that we could borrow). Paige seconded the motion. All were in favor and the motion passed. New Business: The 6th grade play this year will be Alladin. The 6th graders are in need of a few items. The needed items are: “marketplace” booths, and costumes to be worn by the cast. We have made $2110 from script so far this school year. We need to start thinking about succession planning. We need to fill the positions of President, Vice President, Secretary, Treasurer, and Classroom Representatives for next school year. We need to have a list go out including job descriptions, and a list letting working parents know what things that they can help with. Meeting adjourned at 10 a.m.